Sher Shah Sur had a very short rule in the medieval period of India yet he had several innovations in the cannon technology. Sher Shah possessed 4,000 light cannons , each of which weighed 4 mans within the range of 60-74 kg.The muzzles of Sher Shah's cannons are shaped to look like the face of a tiger. Every cannon has Persian inscriptions bearing his name and that of manufacturer and the date of manufacture. 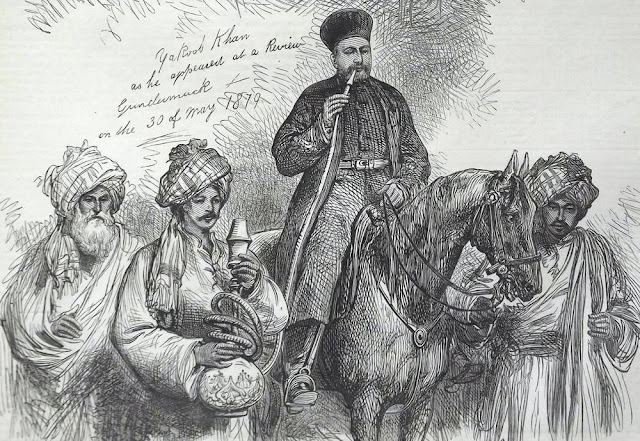 The light cannon or zarb-zan of Babur were smaller replicas of heavy mortars , but the large number produced by Sher Shah's gunfounders (weighing from 132 lb to 221 lb) were of a new design. They had many distinctive features like narrow cylindrical barrels (4 ft 5 in long with the diameter of the bore at the muzzle of 1 in), with a prominent sprout at muzzle, trunnions in the middle o sometimes at about two-fifths of the full length from the breech, and a long handle behind the breech, almost equal in length to the distance between breech and trunnions. This new design economized on copper which may have helped marginally to improve the quality of casting , by reducing the number of furnaces used for feeding molten metal into a mould. The narrowness of the bore suggests that smaller projectiles were used , facilitating a switch from stone balls to the more effective shots made of lead, and a reduction in the quantity of gunpowder used. Not requiring special platforms, these cannons could be easily mounted on ramparts and fired through the battlements by teams of two or three gunners. 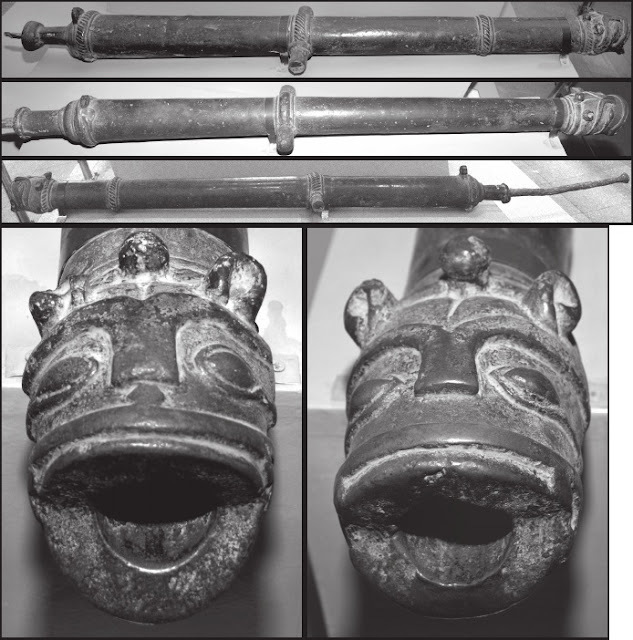 The new design of Sher Shah's light cannon continued to be popular under Akbar , and a similar transformation may be observed in the those of the Vijayanagara empire.